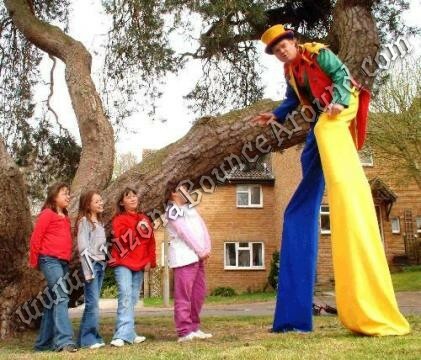 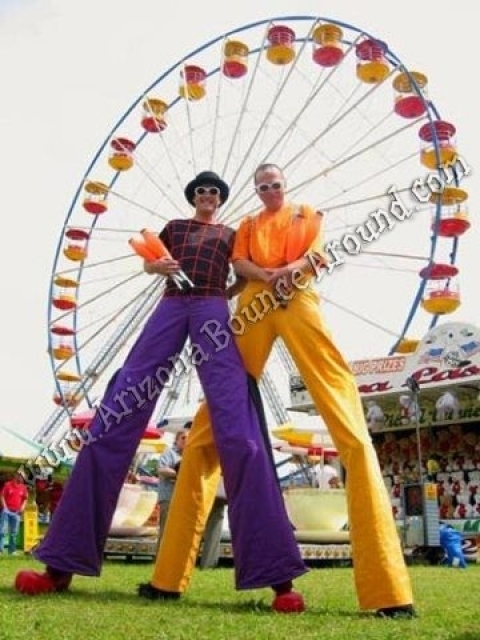 We have a huge selection of stilt walkers for parties and events in Arizona so call us today with your event details and we will be happy to help. 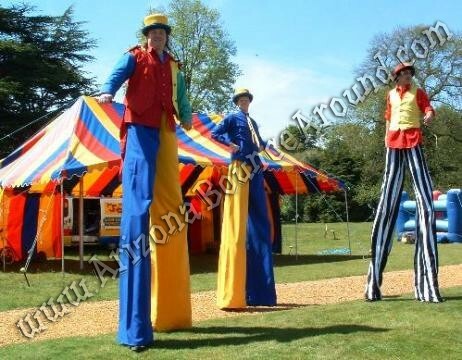 Stilt walker prices start at $250.00 for the first hour and progessivly get cheaper as you increase the event times. 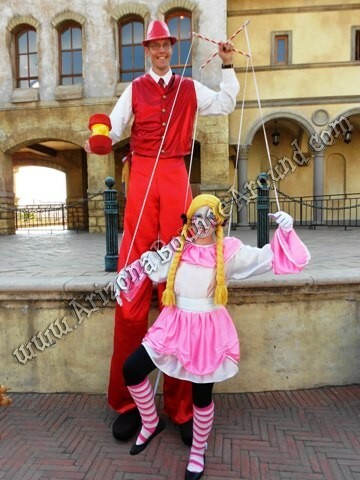 (second hour $150, 3rd $100, etc.) 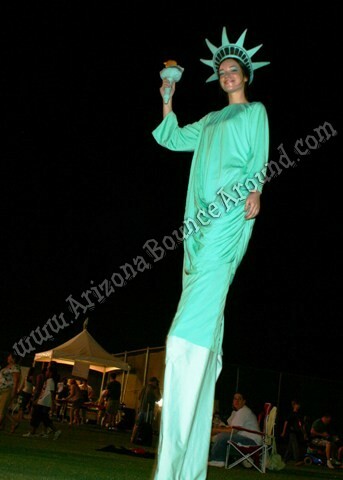 This price is for a costumed stilt walker and stilt walking entertainers will be slightly higher per hour. 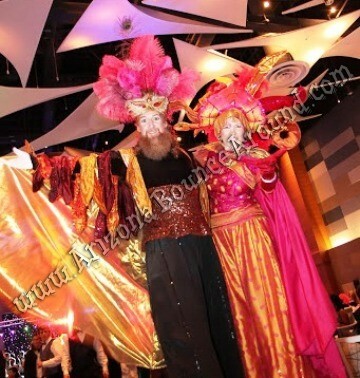 We have a full selection of entertainers from Face Painters to corporate enterainment all under one roof.